For last many years, I’ve been crossing a nearby road to my child’s school while picking n dropping him which shamelessly owns a huge filthy dumpyard.... 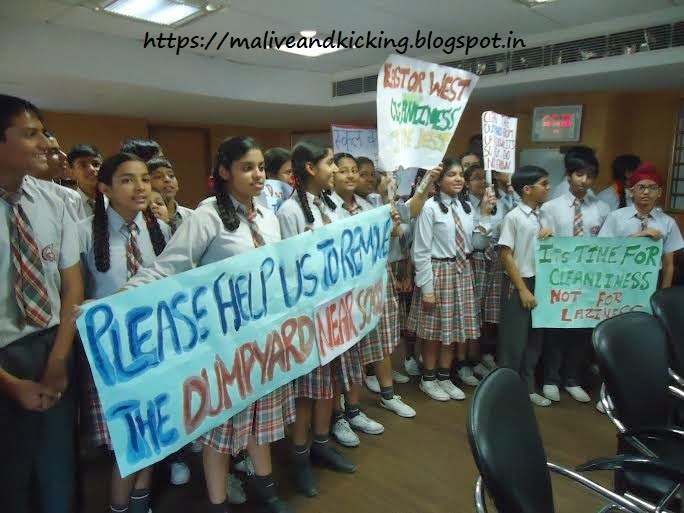 It had been a major concern of Health and hygiene conditions of more than 1800 students and staff of the school. It was not only an eye sore, but the garbage emanated stench which was unbearable for those who stayed nearby for many hours. The school authorities took every possible measurement to get that removed, but all in vain. Then a working idea struck in the mind of a conscientious child whose ultra-thoughtful planning turned the situation other way around. The students formed a union and visited the Local Municipal Committee. They sang self-composed songs and raised slogans while carrying banners portraying their demand of removal of the dumpyard. The Municipal Commissioner appreciated the effort of the children. The students felt motivated as the Commissioner, despite his busy schedule, gave a patient ear to their request. He immediately arranged for a meeting with his officials and sent orders to clear the dumpyard. But the Problems remained lurking as the request was not only to remove the litter, but also to remove the dumpyard or to shift it to some other secluded corner of the city. In another phase of this drive, the students displayed dignity of labour by sweeping, picking wrappers, foils, polythene bags etc. from the roadside and the adjoining park. They spread the message of keeping the environment clean especially during monsoon to avoid blockage of drains and also to stop spreading of epidemics like Malaria, Dengue etc. In the wake of the massive Mass Swachh Bharat Campaign by the students, the plea of the students was given prompt attention and corrective measures were taken by the authorities. The leader of the campaign, who resembles Montu in his actions and will power, expressed his opinion that we must not be a silent spectator and must our voice to make a difference. Coz we have to be the change we want to see in the world....Kyuki Bin Bole Ab Nahi Chalega #AbMontuBolega....Aur Sara Desh Sunega. World's leading sore throat medicine, Strepsils is encouraging people to speak their mind without any inhibitions. The brand has signed film actor Saqib Saleem of “Mere Dad Ki Maruti” and “Hawaa Hawaai” fame as the face of the campaign. Through “Ab Montu Bolega” campaign, Strepsils aims to increase its relevance for day to day expression with a healthy voice. The Facebook and Twitter pages have been sharing appealing visuals on topical issues, while encouraging users to join in the hashtag driven #AbMontuBolega conversations. This post is written exclusively for Indiblogger's Happy Hours #AbMontuBolega Campaign in association with Strepsils . 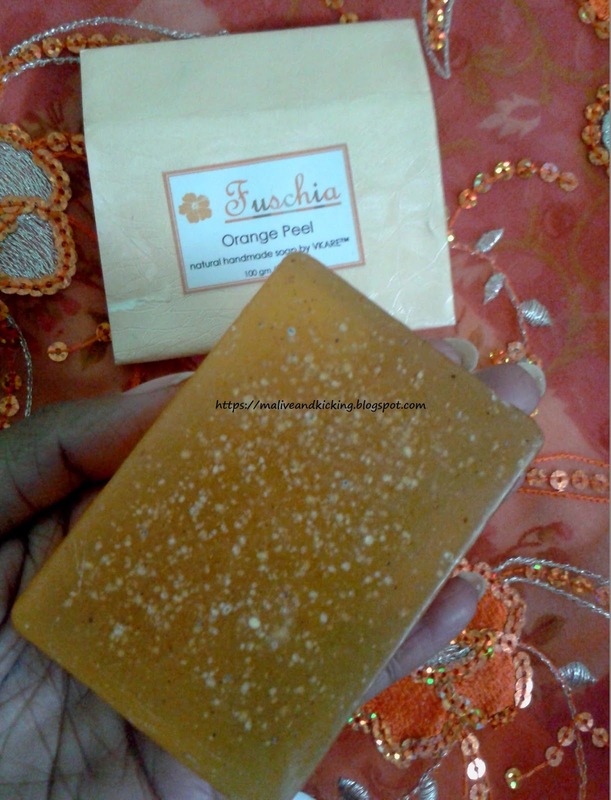 I'll be talking about Fuschia's Orange Peel Handmade soap that is infused with many nutrients necessary for maintain youthful skin. This is one from the Herbal range of their soaps. 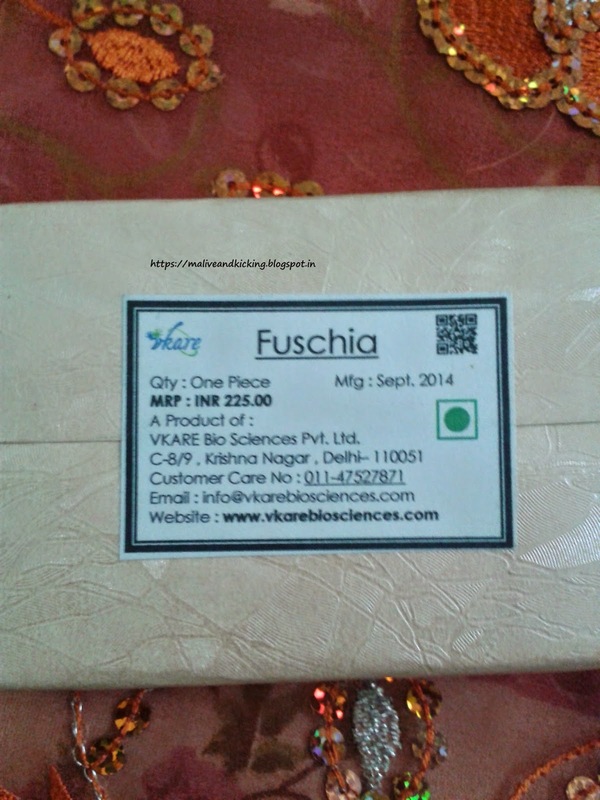 Fuschia Orange Peel Handmade Soap comes in an outer cardboard packing with an inner sealed transparent plastic sheet holding the soap bar. The color of outer paper-covering compliments the key ingredient so well. The soap bar weights 100 gms that costs Rs. 225/- per piece. The soap bar is not bright orange in color, but a pretty one that actually has some thin particles peeping out. It is a gentle soap that doesn't leave the body skin dried out after usage. The texture of the soap is very creamy on your palm and it produces sufficient lather in contact with water. If the soap bar is properly placed in the soapcase to get dried after use, it has no tendency to melt down at normal temperature. It spreads a sensuous fragrance on body for next few minutes after bath. The fragrance itself is absolutely identical to citric one that my nose recognizes instantly. It washes out easily and asks for no application of moisturizer, if you have oily to normal skin. But I feel uneasiness n stretchy on skin after bath in any season, so would suggest people with dry skin like mine that they should use a light body lotion afterwards. In only few regular uses, I noticed lightened complexion on exposed body parts. I believe the Vitamin C content of orange peel combats free radicals and helps adding a glow to your skin by fighting off wrinkles. 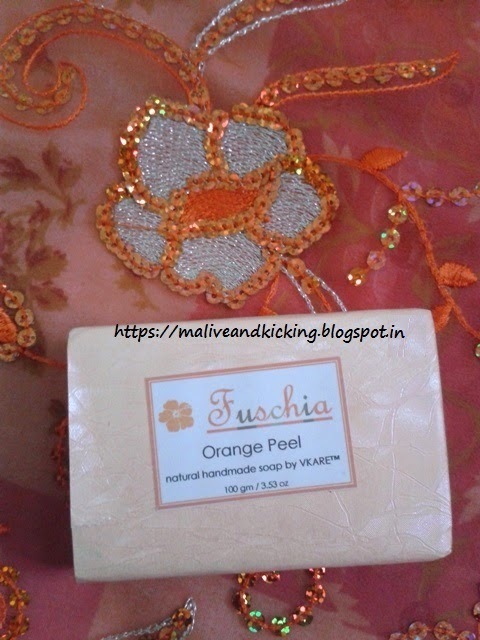 My experience makes a noticeable point that Fuschia Orange Peel Handmade Soap can not only be used as cleansing sap bar, but can be used as a toner. 2. Orange peel treats acne very effectively. 3. Extracts dirt from deep inside the pores. 5. Doesn't melts so easily, so one bar will last quite longer. 6.Preservative free, so shelf life is longer than soaps offered by other brands. 7. Deflects harmful UV rays. 8. Renews worn out skin cells and prevents all unhealthy skin conditions. 1. 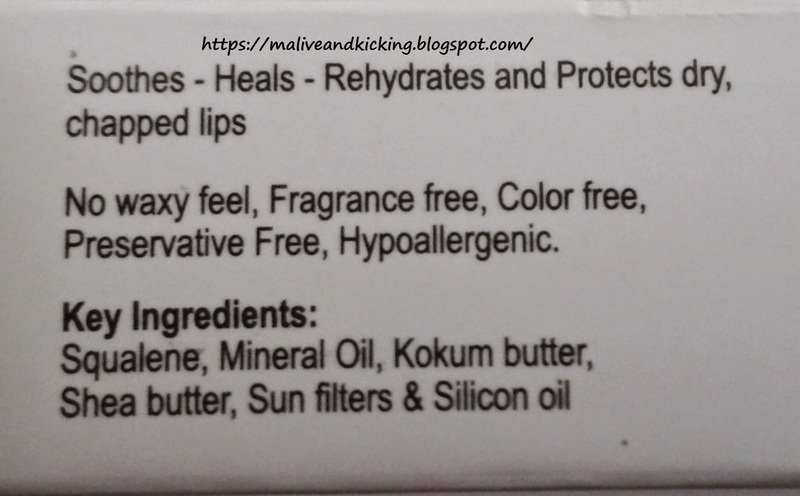 The ingredient list is missing from the packaging and I really wish that the key ingredients MUST be mentioned to convince users about the goodness of the product. 3. Not locally available at drugstores or supermarkets. The pack included a Skin Polishing Scrub and an Anti Aging Mask. The Skin Polishing Scrub has already been reviewed by me and if you missed the post, here is the link. 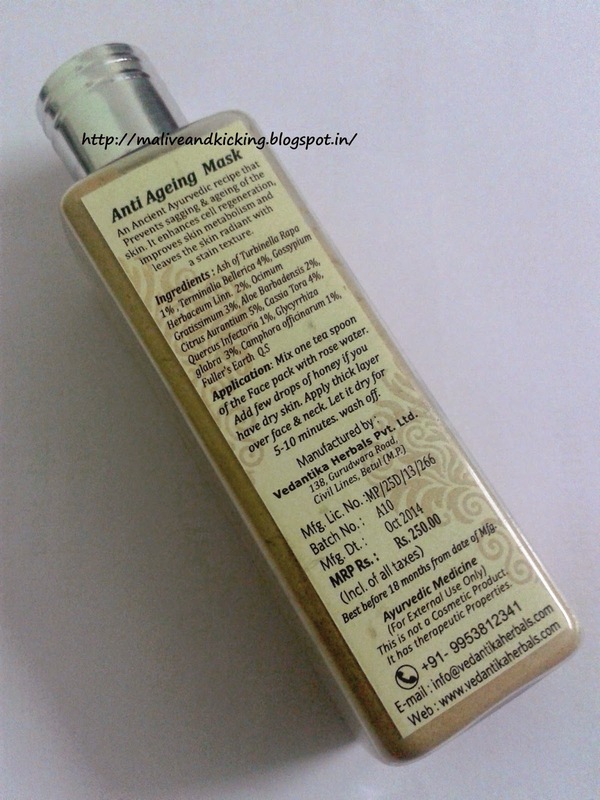 Now after trying my hands on Anti Ageing Mask for quite a few times, I'm ready to share my opinion. 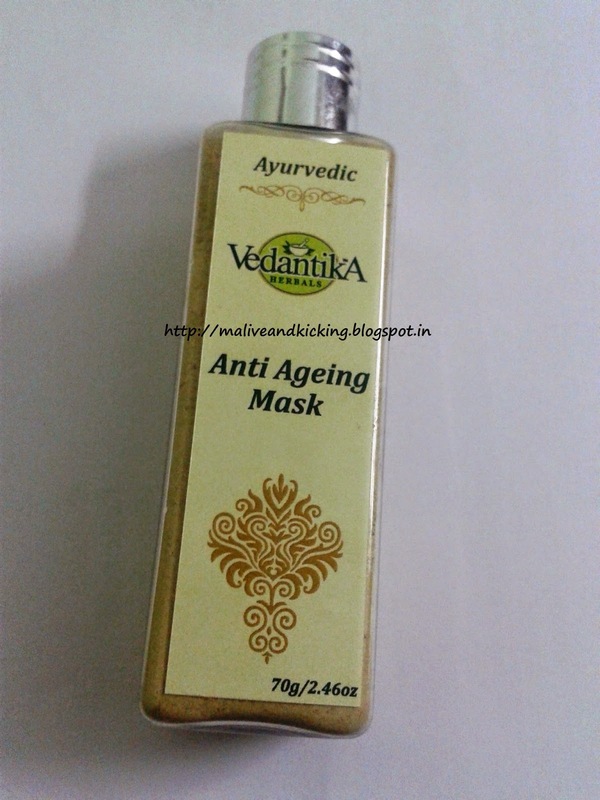 Vedantika Herbals Anti Ageing Mask is an instant face lifting & firming treatment that helps sagging & ageing of skin. Regular use gives the skin lasting firmness & resilience. Also removes wrinkles, lines blemishes and improves skin color & texture. It arrests the ageing of the skin, leaving your face looking years younger. 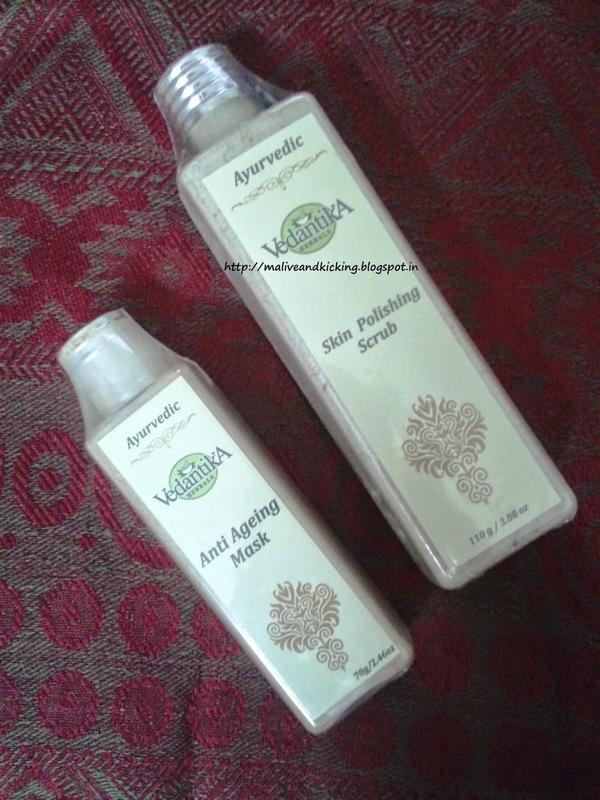 The Vedantika Herbals Anti Ageing Mask also has identical packaging as the Skin Polishing Scrub has. They come in rectangular plastic bottles with screw cap. How much to pay for what quantity? You need to pay INR 250 for 70gms of the content. The product has a decent shelf life of 18 months. What are its key ingredients and their Hindi Names? Cassia Tora (Chakvad), Terminalia Bellerica (Baheda ), Withania Somnifera(ashwagandha, Indian ginseng), Ocimum Gratissimum ( tree basil ), Aloe Barbadensis, Citrus Aurantium, Ash of Turbinella Rapa (Shankhbhasma) , Saffron (zafaraan), Fuller's Earth (Multani Mitti). Many websites are selling Vedantika products including Jabong, eBay, Flipkart, Amazon, Snapdeal, Satvikshop, Craftsvilla and few more. So you can order it from any online site with which you are comfortable. As the application instructions on the pack read, I mixed the required quantity of of the face mask with rose water and also added honey for enjoying the utmost benefits for my dry skin. I apply a thick layer over my face and neck and sat quietly surfing my internet giving the mask ample time to dry. Since its a thick layer, so it takes around 15-20 minutes to dry properly. I checked by touching it on my face and then washed it off with lukewarm water. How I felt during and after its use? The first thing I noticed on opening the pack was the similar smell i.e camphor. As I mentioned in my previous post also that camphor is something whose smell doesn't overpower me. But when I applied the mask on my face, a stinging sensation irritated my eyes. 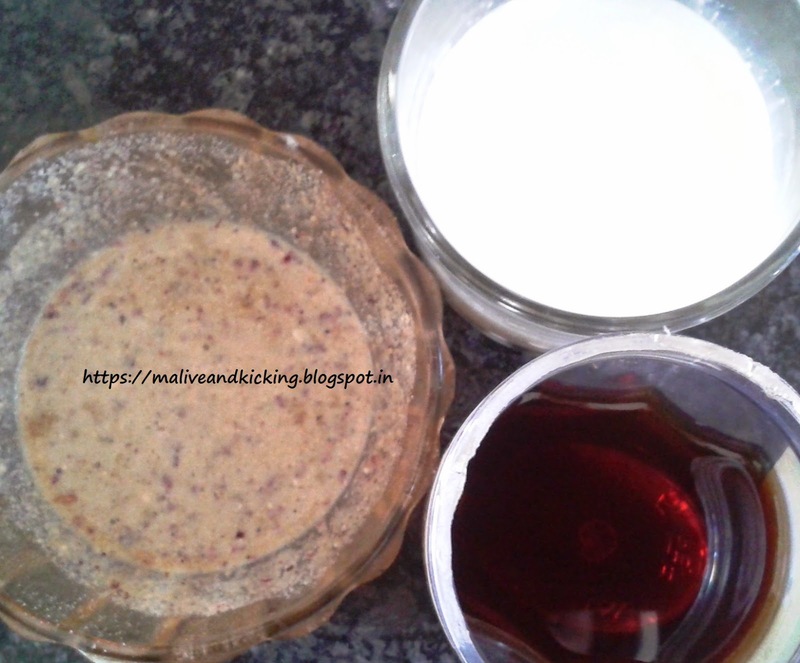 But since I had added rose water in the mixture, the sensation lasted not more than for a minute and soothed the skin. It comes out easily when I gentle rubbed it with wet hands. Since the mask is very minute powdered, I didn't feel the itchy dryness after its use. 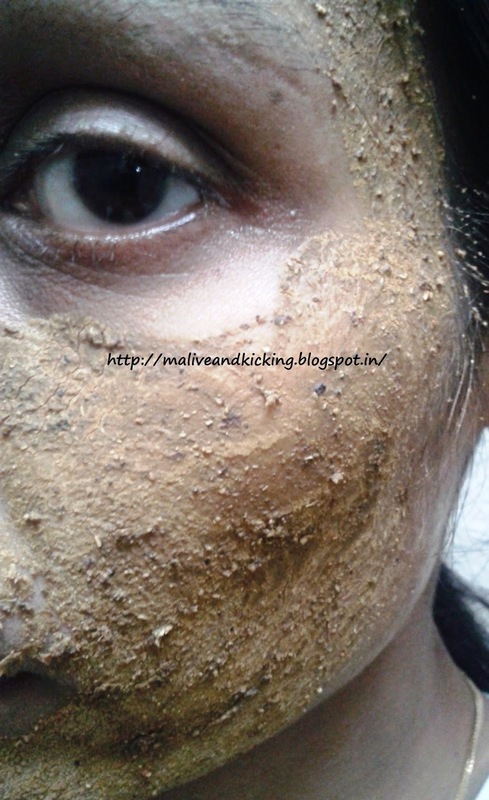 Actually after wiping the face with a soft towel, there was a visibly clean n clear skin tone in just three uses. I could even feel better skin elasticity. I am sure its because of its rare precious herbs extracts combined with Shankbhasma which is claimed to provide the most powerful age-control benefits. 1. Purely natural herbs used. 2. No harmful side effects on skin. 3. Detoxifies the skin effectively. 4. Finely ground for easy application. 1. Tingling sensation (though its not too strong to make you feel uneasy). I would definitely continue using this anti-ageing mask to nurture and pamper my skin in future as well. I believe no product can STOP ageing, but there are some products that can slow down this process. And Vedantika has given us a solution to keep fine lines, wrinkles and age spots at bay. 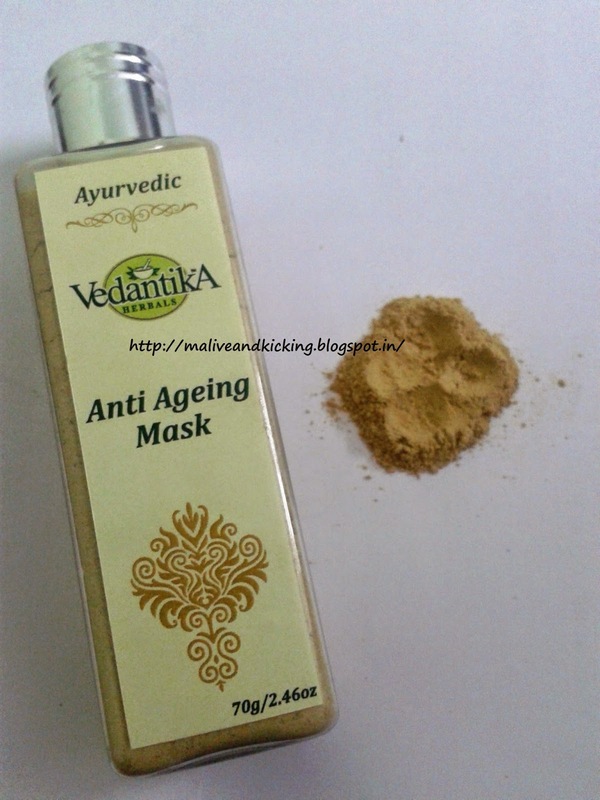 I'm loving my soft, supple, youthful n radiant skin after using Vedantika Herbals Anti Ageing Mask. This time I'm picking two winners who will win a jewelery piece each. 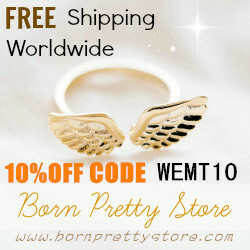 The first prize is a Silver Necklace and the second prize is an adjustable finger ring. 1. Like Alive n Kicking on FB. 3. Follow my blog via GFC. 4. Share the giveaway post on your Facebook profile page publicly so that I can verify it. 5. Mention your details like FB name, GFC name, email id and FB share link in comment section below. 1. Invite your friends and loved ones whom you care about. 2. Write a blogpost those who own a blog. 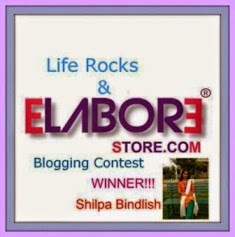 And do share the blogpost link. 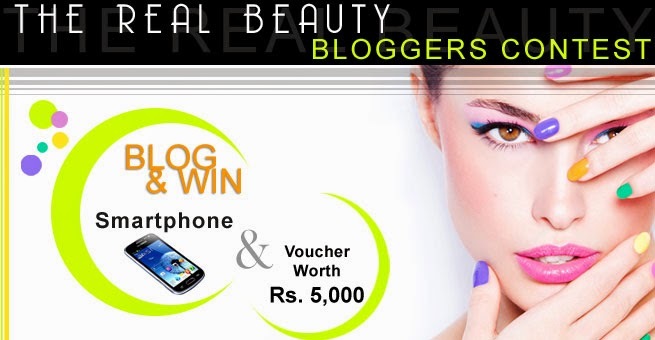 The giveaway is open to Indian residents only. It starts today and ends on 10 December, 2014. 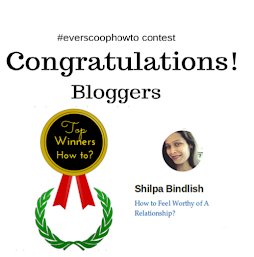 The winners be selected via lucky draw and will be announced on or before 12th December, 2014 on all my social networking interfaces. The winners will have to forward their postal details to me within 24 hours of declaration of result, else next eligible winner would be selected. Hope I made it all clear. Still if you any doubts/queries, do message me on FB or mail me. I will be replying ASAP. Hope you are enjoying the onset of winter at your places... 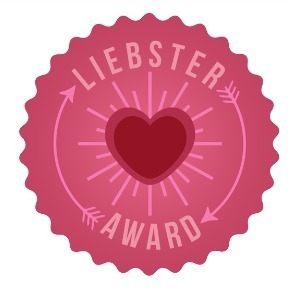 Recently, I have been receiving messages from many of my readers to suggest some lip treatment product that offers more butters and less wax than usual balms. Many of them hesitantly mentioned that they would be more interested to go for an affordable product that suits their pockets. After much consideration, I came up with a really economical lip moisturizer that is full of wholesome nourishment for lips. 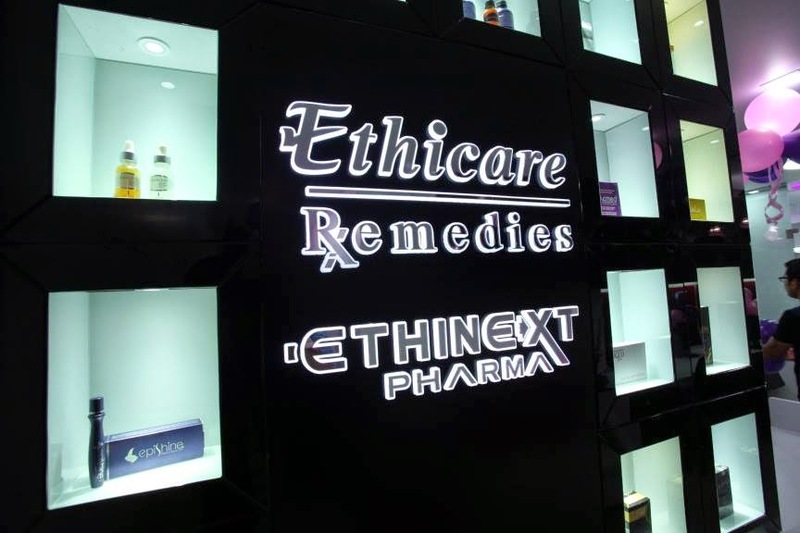 Ethicare Remedies was founded by Mr. Ilesh Khakhkhar in 2003 with exclusive focus in Dermatology & Cosmetology, a PIONEER of many products in India. The motto of the company is the belief that 'the right to good health is universal'. They have got their presence in 17 State of India and also export products in countries like Mauritius, Dubai, Bangladesh and Yemen. They believe in winning relationships with their product offerings. Their diversed product portfolio has got high regards in the eyes of all leading dermatologists and cosmetologists across the country. Lipz lip moisturizer has been categorized under Dry Skin section of the products. 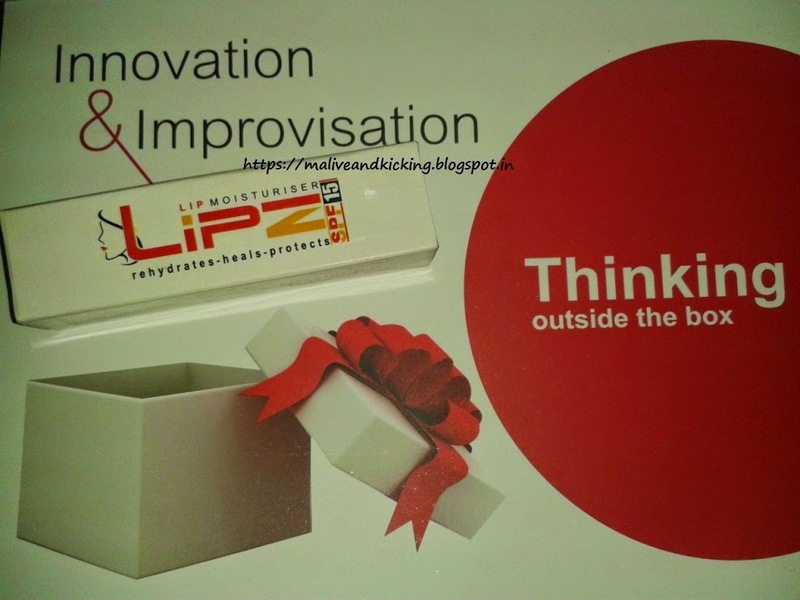 Packaging: The Lipz lip moisturizer comes in a white outer carton packing. The lip moisturizer is contained in a white tube with a red cap that can be tightly closed after use. Squalene, Mineral Oil, Sun Filters and Silicon Oil. The Squalane is identical to the oil that our glands produce naturally and works very effective to get rid of dryness since there are no oil producing glands in the lips. 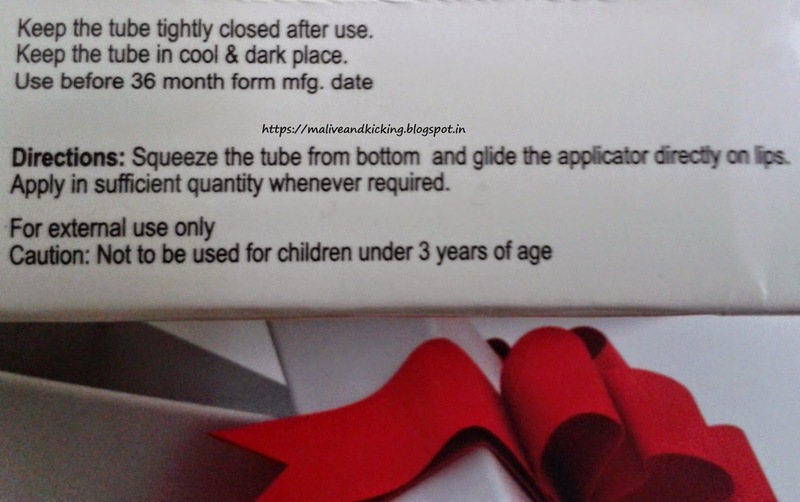 Special Instruction: Not to be used by children under the age of 3 yrs. As you have seen that this lip moisturizer is a handy tube pack with a hole pierced in the center of the tip that ejects the content out with little pressure at the bottom. I liked the slanted tube tip which is comparatively easy to glide on lips than the round tip. Before I could apply the lip moisturizer, I brought it closer to my nose to know how it smells like. To be frank, the packaging of the Lipz lip moisturizer is not very attractive or colorful and thereby gave me an impression that it would smell something unbearable like yucky medicines ;) But to my pleasant surprise it has a soft vanilla fragrance that doesn't irritate you at all. I glided the lip moisturizer twice or thrice in one application in the night. Till the next few minutes, I was rubbing my lips to look for that glazy white layer that we generally notice after use of lip balms, but fortunately found none. I swear its completely free of waxy feeling on lips. And the results have been satisfying with my dried lips turned soft and super smooth as i got up next day. But on its application during the day time, I feel the need to re-apply it after frequent intervals as it doesn't stay longer when we tend to eat or drink something. The women in love with matte lip products can layer this Lipz Moisturizer as a hidden base to their matte lipstick since its colorless and doesn't show off. 1. Clinically accepted by many dermatologists in the country. 2. Provides expected level of hydration. 3. No Preservatives, Artificial flavors or fragrances added. 4. Leaves lips look rosier pink and healthier. 5. Replenishes lips with rich butters that melt easily. 9. Causes No Allergies or Irritation. 1. Really difficult to find any in terms of quality n all ! But it needs frequent application for consistent result. 3. Not readily available at medical stores, at least in my city (but online purchase is quite happening these days among people, so I don't consider it as a limitation as such). Conclusion: Lipz Moisturizer provides essential lubrication for the lips and can considerably help to get rid of chronic dryness over time with frequent application. People with a budget of below 'one green note' should definitely give it a try on my recommendation. Kiss your dry lips goodbye !! 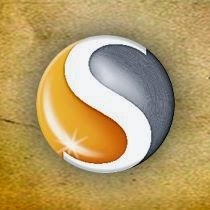 Hope you find the review useful and I would love to read about your valuable feedback on the same. NCL Agro foods (vedantika Herbals) is a group of researchers and scientist headed by Shri N. C. Limbasiya, a food technologist from Gujarat. The main motto of the brand is to spread awareness about Health using Herbs. 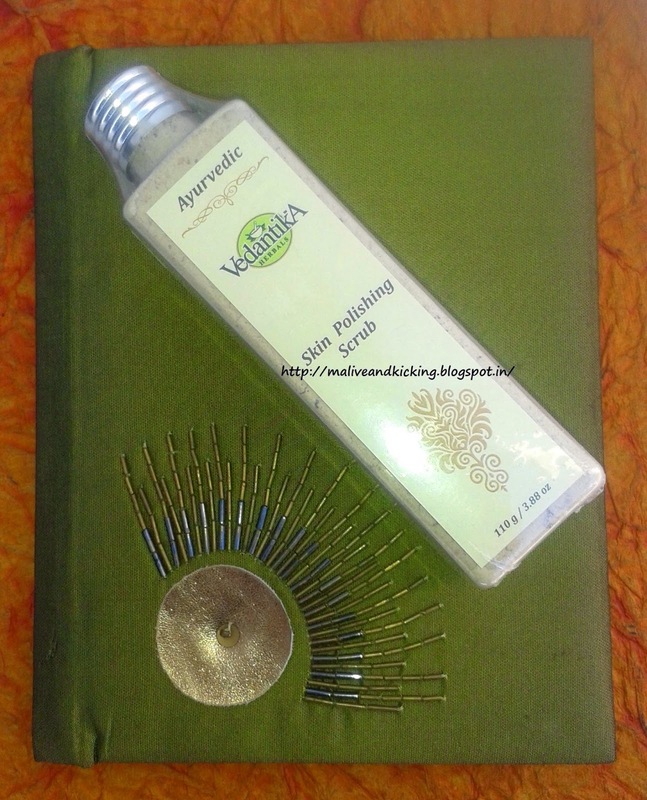 Vedantika Herbals Ayurvedic Skin Polishing Scrub comes packed in a transparent plastic bottle with an outer screw cap and an inner plastic push-in cap that will tightly hold the content inside. 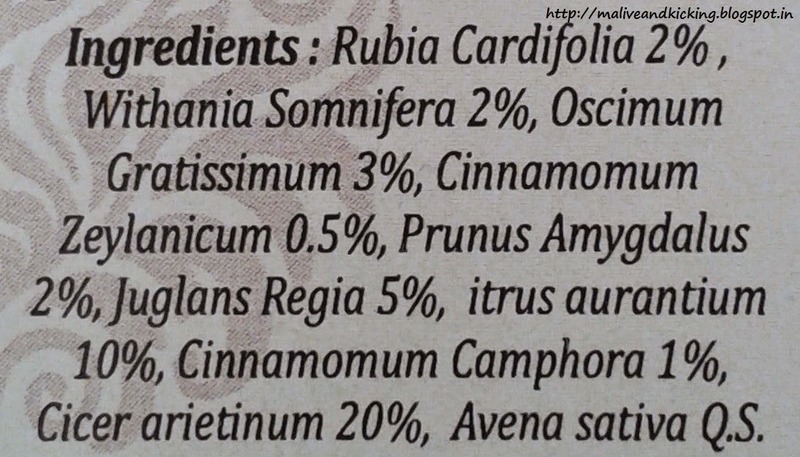 Rubia Cardifolia, Withania Somnifera (ashwagandha), Oscimum Gratissimum (Clove Basil), Cinnamomum Zeylanicum, Prunus Amygdalus (sweet almond), Juglans Regia (Walnut ), Citrus Aurantium ( bitter orange), Cinnamomum Camphor, Gram Flour & Oat Bran. Make a paste by soaking required amount of Skin Polishing Scrub in milk for 10 minutes. 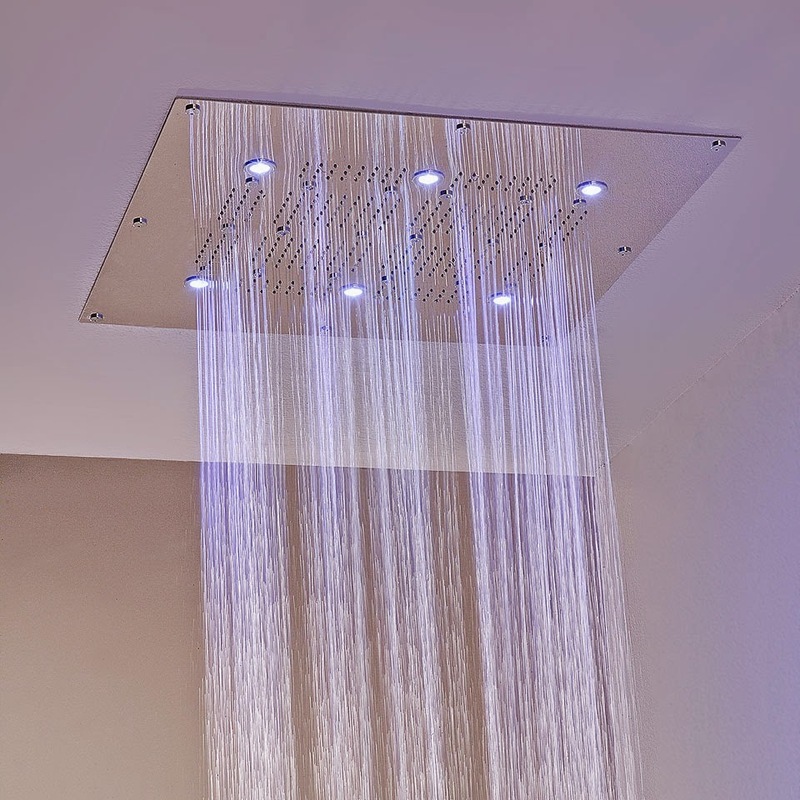 Gently rub to clean wet parts of the body for 5-10 minutes in circular movement. Wash off with normal water. As oppose to the usual scrubs that come in paste form, the Vedantika Skin Polishing Scrub is in powder form that can be converted into a paste of the consistency that suits your needs and preferences. 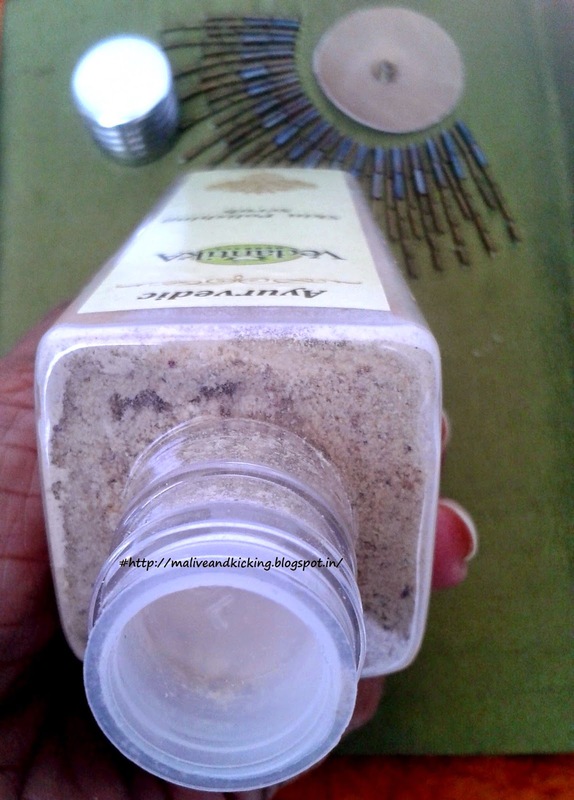 So I utilized my Sunday yesterday to pamper my skin with this scrub and followed the instructions. Beginning with splashing some water on my skin, I rubbed the paste on my face, neck and arms for the first use in circular motions. Here I paid close attention to the sides of my nose and any fine lines or dry spots on my skin by being careful around the eyes, when using it on face. Then I targeted the exposed parts of my back to cleanse with this scrub. Like we all are aware of the benefits of non-abrasive and gentlest exfoliant Oat bran, it thoroughly removed the skin impurities. Infact I'm expecting that my tanned forehead skin would surely be lightened with its regular use. I finished off by splashing my skin with fresh water to close the pores and freshen up my skin. 1. 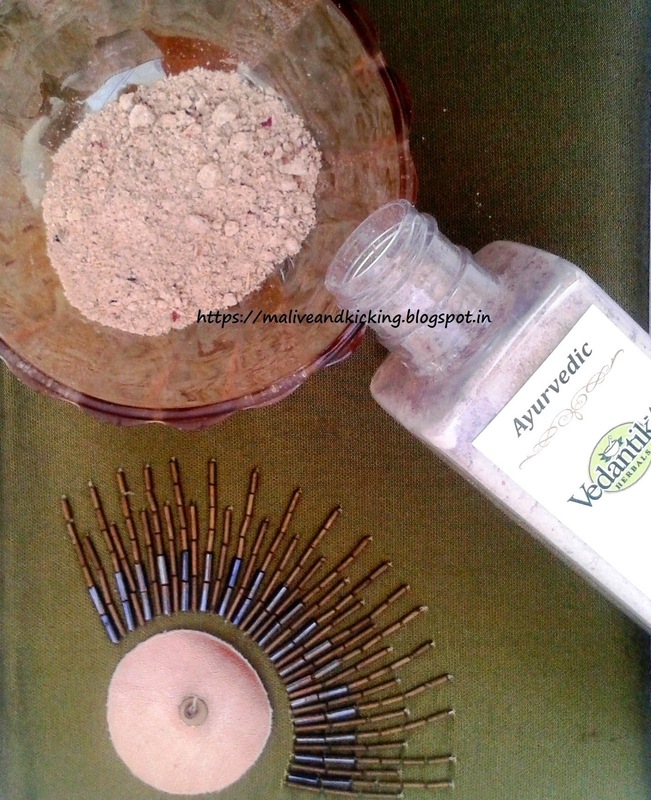 Ayurvedic formulation using ancient beauty secrets. 8. Can be used of any part of the body. 1. I experienced dryness even after adding honey into the mixture. I guess I need to pour in a generous quantity next time before a final word. 2. If you find the price on a higher side, just recheck the ingredients list to know the obvious reason. Vedantika Herbals Ayurvedic Skin Polishing Scrub not only makes your face feel clean and renewed, but also prevents breakouts and exfoliates dry skin. It sloughs off dead skin, blackheads and dirt from your skin gently without being harsh on skin. Those who want to stay away from beauty salons can definitely go for an effective remedy for brighter and more even textured complexion using Vedantika Herbals Ayurvedic Skin Polishing Scrub. Hope this review will be informative for those reading. Do leave your feedback in comment section below. A lip balm that helps relieve chapped or cracked lips is a must-have in my bag during all seasons, especially in winters. I carefully choose lip balm that helps protecting my lips from the drying effects of wind and cold weather effectively. The Fuschia Tropical Alphonso Lip Balm comes packed in a little transparent jar that displays the lip balm color clearly from outside. The screw-rotational lid makes the content safely sealed, and thus the packaging can be considered as your perfect companion during a journey. 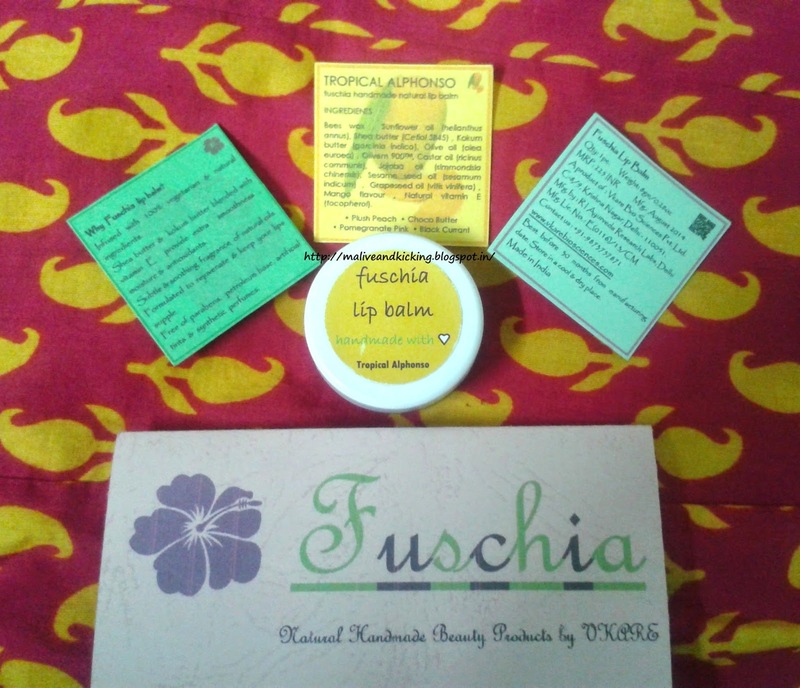 The Fuschia Tropical Alphonso Lip Balm is made with 100% vegetarian and natural ingredients including Shea Butter, Kokum Butter with Natural Vitamin E. The natural essential oils like Sunflower Oil, Olive Oil, Jojoba Oil and Mango Flavour have been added for extra soft n supple lips. The organic beewax is the main ingredient that seals the moisture in lips. My lips generally do not get chapped very very easily if I'm staying at home. But lately I have noticed that my lips get affected by the dry air, cold temperatures, and wind when I'm staying out for long hours due to varied reasons. Obviously, these are the factors that all have a drying effect on our skin, particularly our lips coz the skin layer is very thin. The day when I got this lipbalm, I applied a thick layer on my lips before going to bed so that the lips feel generously hydrated over the period of few hours when I'm not eating anything. And I realized that I have correctly judged the effectiveness of this lip balm. I wake up to a softer, lipstick-ready pout the next morning. :) Infact the area around my lips was also better moisturized (which generally shows some dryness). 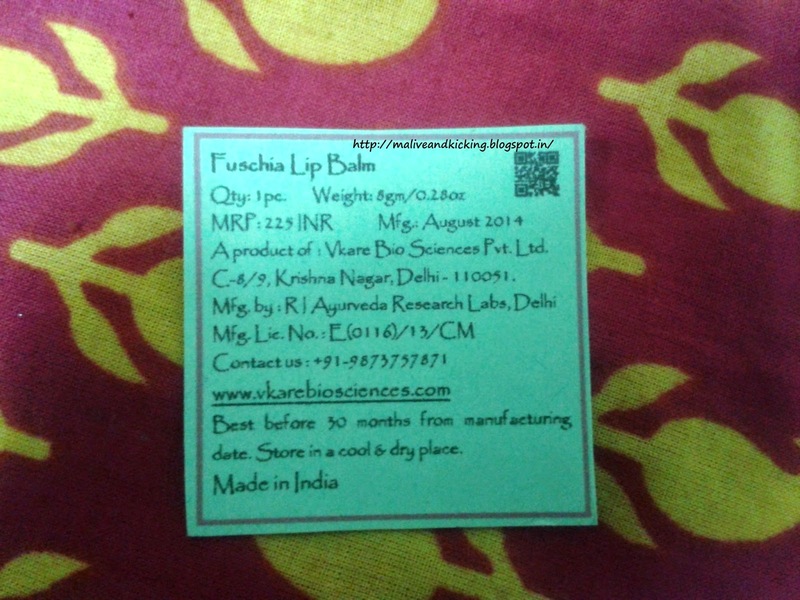 Yet another interesting fact about all Fuschia lip balms is that it can be used by anyone. 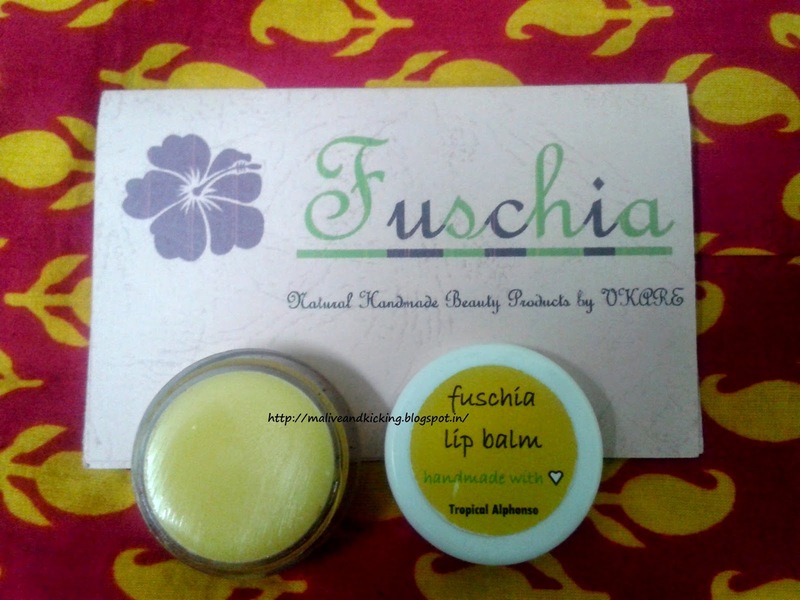 By 'anyone' I mean, not only women can enjoy the kissable soft lips, but men can also keep their lips smooth with application of Fuschia lip balm. 2. Colorless Base for Lipsticks. 4. Portable & Travel Friendly Packaging. 6. Easy Online Availability on websites like Rediff Shopping Myntra, Snapdeal, Shopclues etc. 1. I wish this lipbalm is available in stick or tube form which can be applied directly coz swiping finger on the lipbalm seems to be uneasy as well as unhygienic. 2. Not easily available in physical stores. 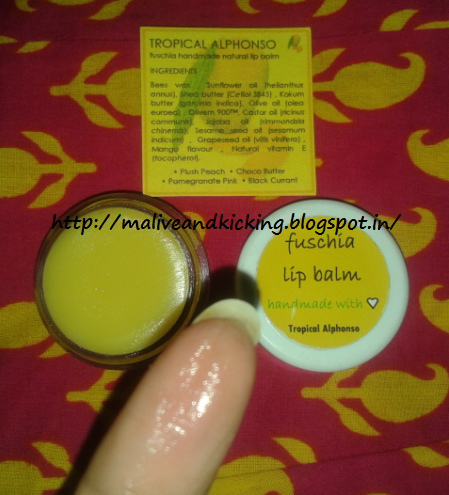 Fuschia Tropical Alphonso Lip Balm is a ready-to-use remedy to avoid signs of dryness, pain and swelling on lips as the temperature starts to drop & you can say goodbye to chapped lips this season. Hope you find this review informative. 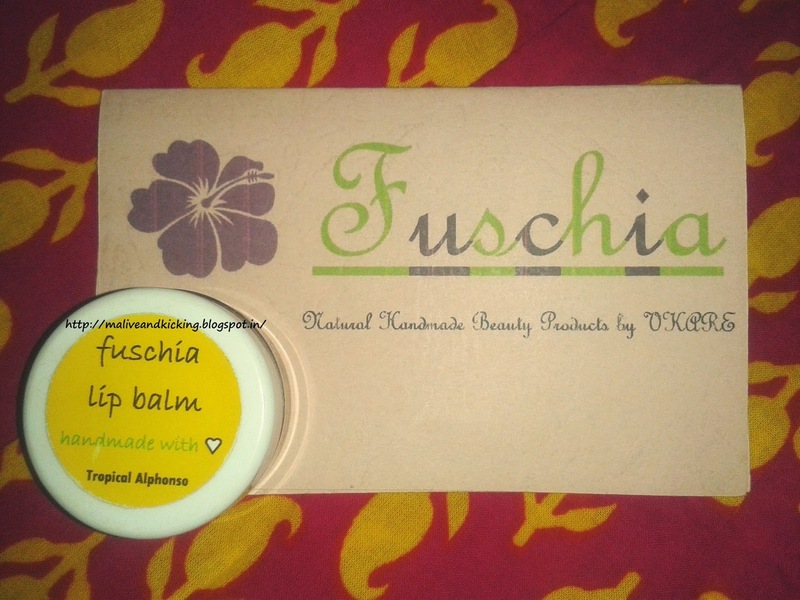 For more details on Fuschia products, visit their website and keep yourselves updated with latest updates by following them on their Facebook page. I could immediately visualize the situations when most of us notice such cases during journeys that people from nearby villages / communities are defecating in fields, forests, bushes, bodies of water or other open spaces. Infact, we just turn our faces other side just to ignore the scenario. 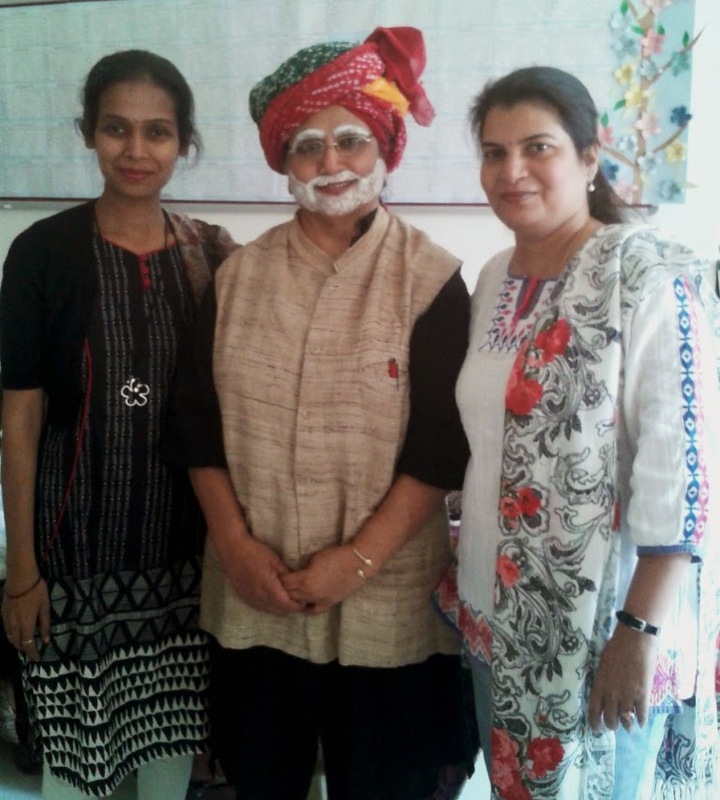 Even when my li'l boy asks me "mumma, why don't they use their TOILETS", "don't they feel ashamed" etc, I tend to snub him for being over-interferring in USELESS matters :( But I seriously admired our newly elected prime minister Mr. Narendra Modi, when he promised- "Toilets First, Temples Later" and decided to support him whole-heartedly. * lack of access to proper sanitation. * cultural beliefs like building a toilet brings bad luck. * contracting diseases like diarrhoea and hepatitis. * no dignity or privacy. * leads to mental and cognitive stunting. But Domex has finally awakened me towards my responsibility. I have realized that we need to first break the silence to end open defecation. I know I cannot get the toilets constructed for those who have no access to toilets, but definitely I'm utilizing this medium to take action by donating my time and sharing these messages publicly. Domex, HUL’s flagship sanitation brand is currently running the Domex Toilet Academy (DTA) programme that was was launched on 19th November 2013. Its purpose is to provide a sustainable and long-term solution for sanitation that benefits the local community and helps stimulate the local economy. The Toilet Academy makes toilets accessible and affordable, while promoting the benefits of clean toilets & good hygiene. Their effort has resulted in bringing the change in the villages of Maharashtra and Orissa and we aim to build 24000 toilets by 2015 in rural areas faced with the problem of open defecation. Lets pledge to make India free from open defecation with right policies and social attention and with initiatives like #ToiletForBabli and feel pride for making our villages Open Defecation Free (ODF). A social movement to revolutionize attitudes and behaviors toward sanitation in India is the only way out because practicing good hygiene is as important as worship to God. Ask anyone about his or her hearty wishes, and I'm sure a Dream House is one of them ;) I'm no exception to that. I always longed for an idealized home that perfectly fits my needs and desires. As someone said "Home is a little corner of God’s green earth to call your own." I will add to it saying "my home is the most adorable possession filled with personal touches and sentiments I'm living every moment..."
The commitment n promise of a Common Family Man to his family members for providing them a comfort zone brings him back home everyday.The moment when smiling faces of his soulmate and his child appear in his eyes, he wishes to reach home earliest. Just looking at any corner of his home brings a warm smile on his face where he has spent memorable moments since long years. I loved to have fashionable Mosaic wall tiles for my home to kill the boredom of looking at usual painted walls that I see day after day, at all hours, in any weather. 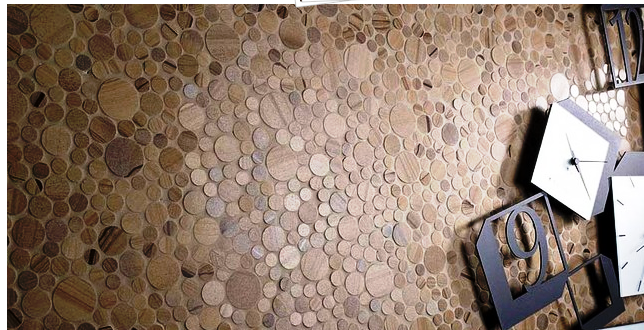 Porcelanosa's mosaic wall tiles are the simplest shortcut to add richness, brightness and liveliness in your home all around. I loved the thought that these lovely pieces can be used to decorate corners as framing important corner. Turning my attention toward a woman's worksphere, I knew that I had minutest detailing of how to make my kitchen space inviting for myself and everyone. 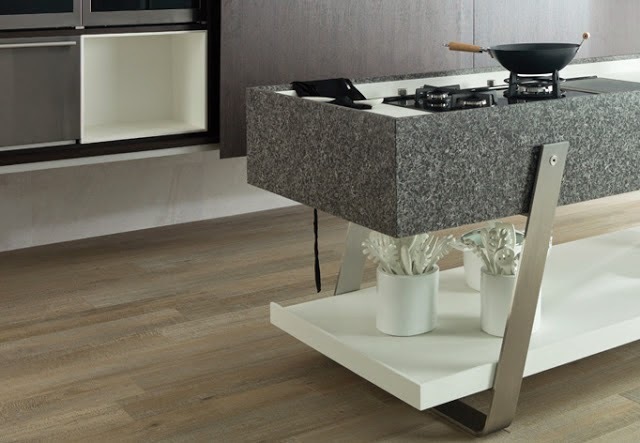 The Porcelanosa's kitchen worktops left me with a smile as I got to know that the material used is not only stainfree and fireproof but is also certified for its anti-bacterial and anti-allergic properties. 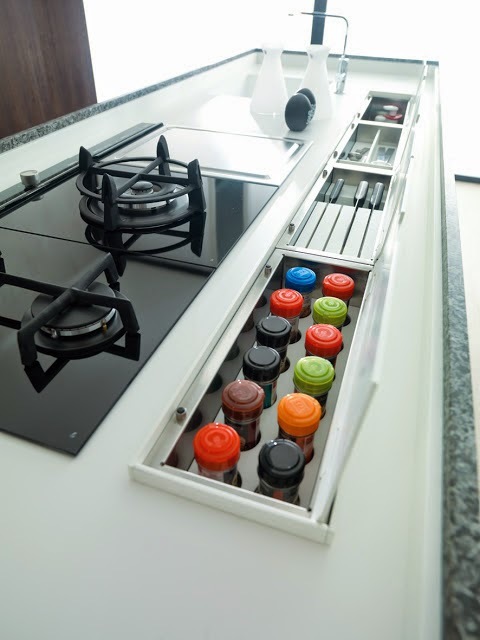 The Easy Racking makes the modular kitchen more of fun and an organized system to cook n serve with love via stacking all essential elements in island placement. Last but not the least, judicially managing the available space is always the key factor to judge the efficiency of a homemaker. 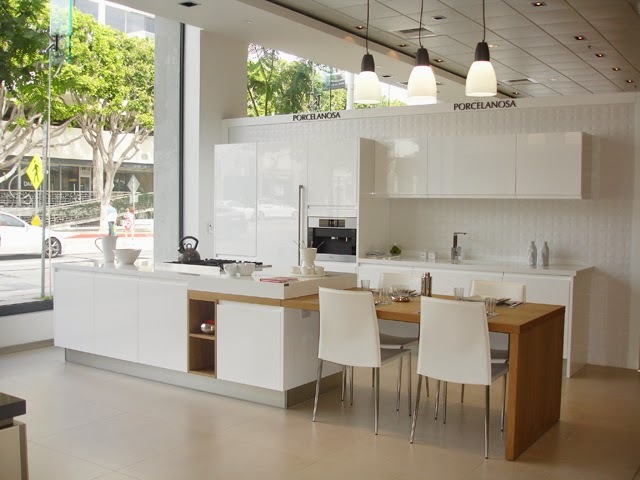 Porcelanosa comes with a perfect solution to optimize the vacant areas by establishing huge range of well-designed closets, wardrobes, dressing rooms and racks that assure no malfunction while getting ready to step out. 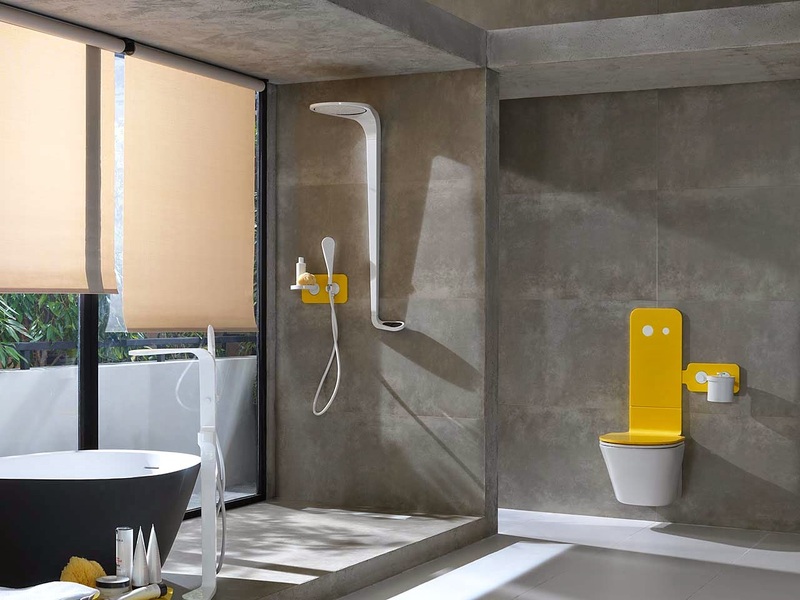 This post has been exclusively written for Indiblogger's Happy Hours Campaign in association with Porcelanosa and 24kliving. 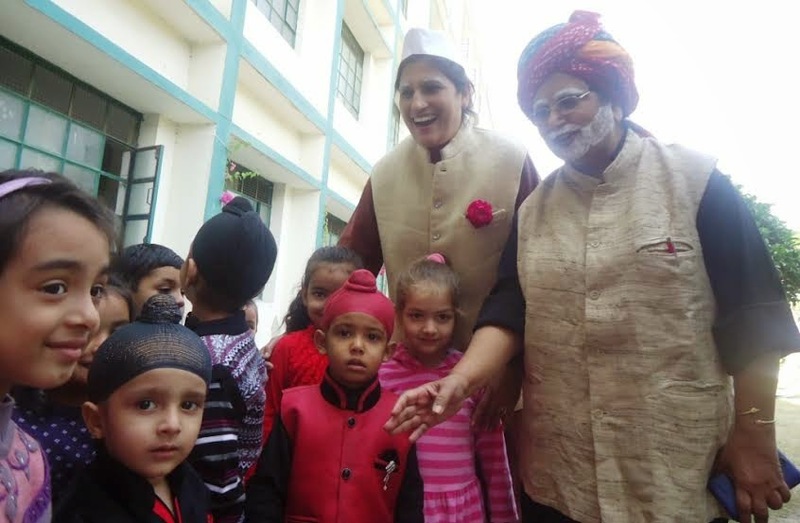 "Every time a child is born, the world is renewed in innocence"
At my son’s school, Children’s Day was celebrated with lots of fun n frolic today. The school headmistress in the guise of Pt. Nehru, the first Prime Minister of Independent India, astounded and regaled the students; while the vice-principal sent waves of elation and gusto among the students and teachers of St. Soldier, Mohali in the guise the present Prime Minister Narendra Modi. Both the enthusiastic ladies applauded the endevour of students for participating religiously in the Swachh Bharat campaign. Stressing on the usage of e-books, he made the children take a pledge for reading e-books to become voracious readers. 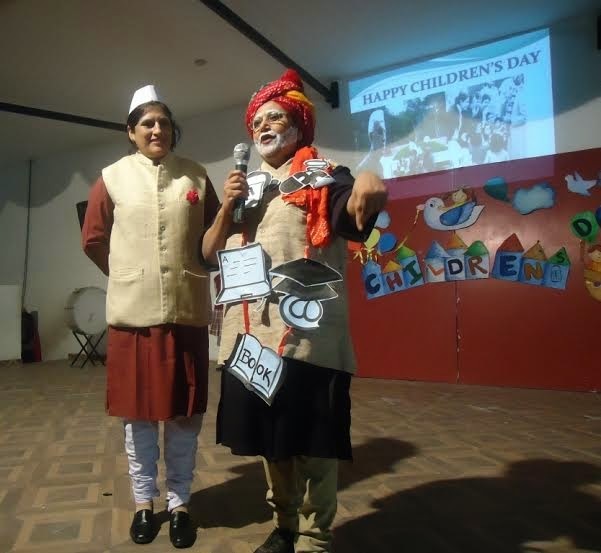 A PowerPoint presentation showcasing the love of Chacha Nehru for the children made little ones feel proud and special. The repertory of the students and the teachers through a Qawwali Parody threw the audience into splits of laughter. The students relished sumptuous and palatable refreshments while watching the entire show put up by the teachers. Happy Children's Day to One & All ! !